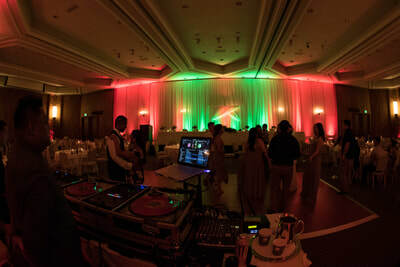 Contact us for more info on the moods that each color portrays. Uplighting can completely transform your room to look different than what it normally looks. 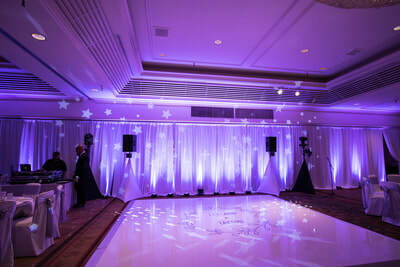 It generates a mood that you and your guests can enjoy. 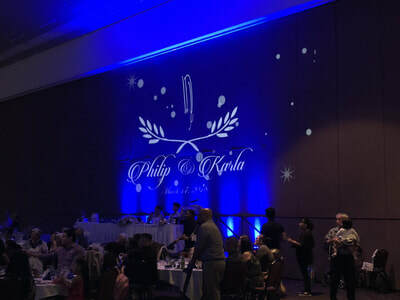 Uplighting creates a look and feel that should match your theme. 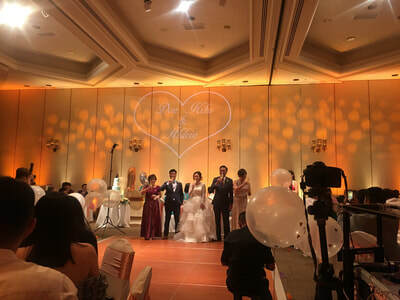 Clients dream of fantasy weddings and with the uplighting, it can help bring that fantasy come true. Your dream/fantasy wedding is never bland. 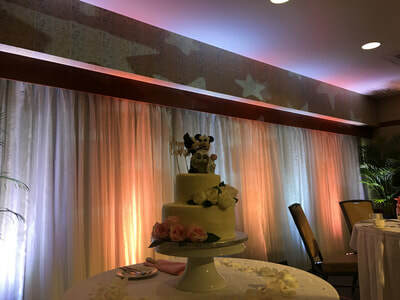 It has lots of details, color, and texture. 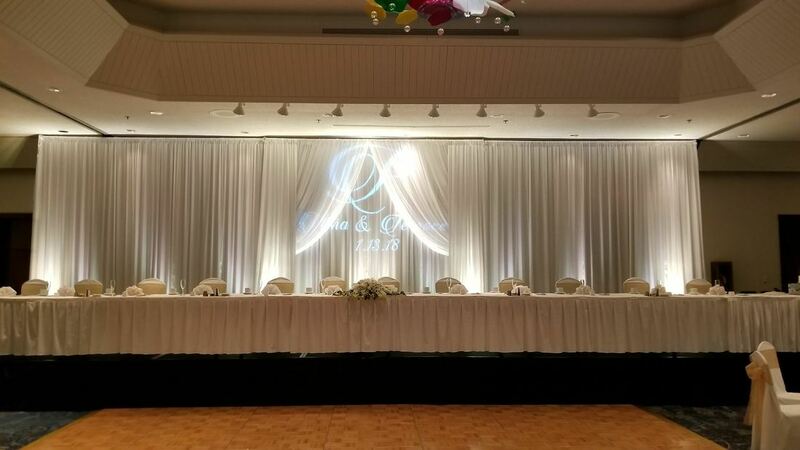 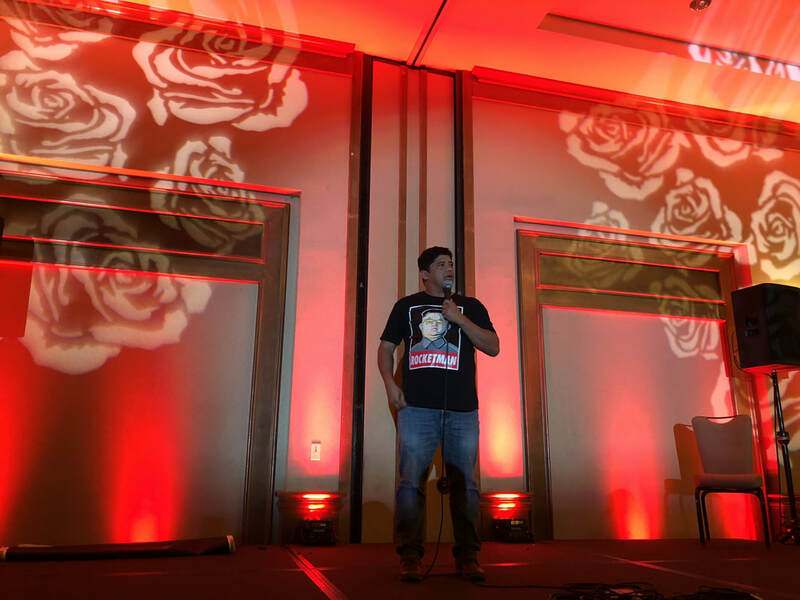 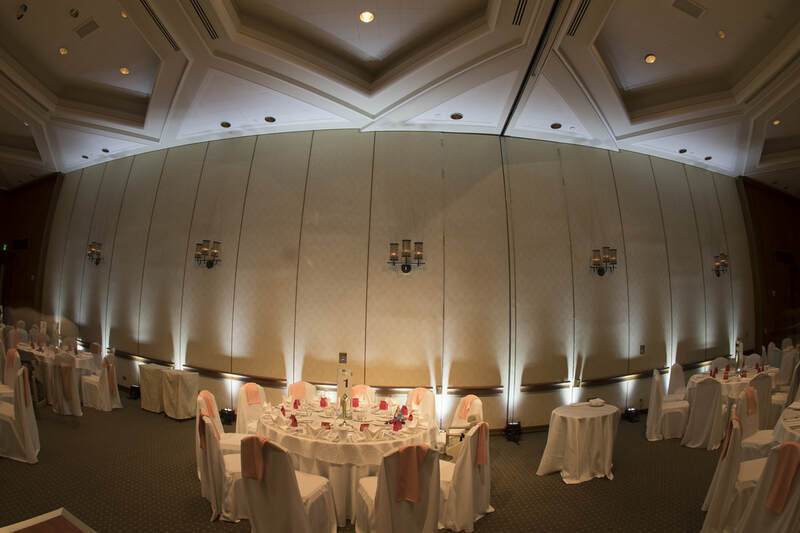 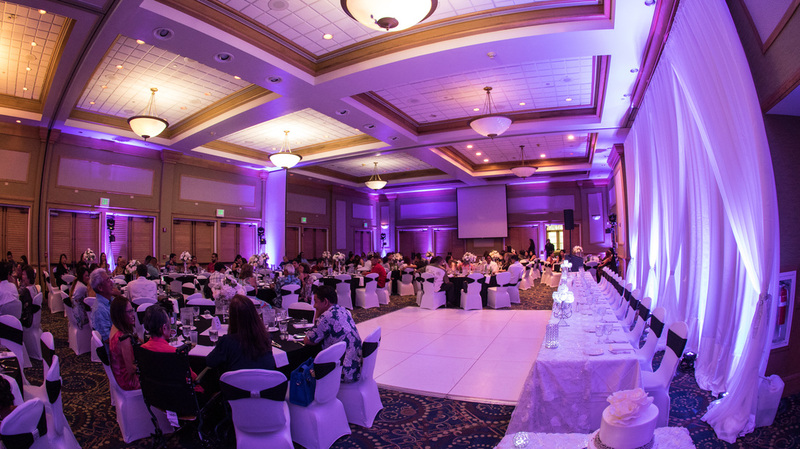 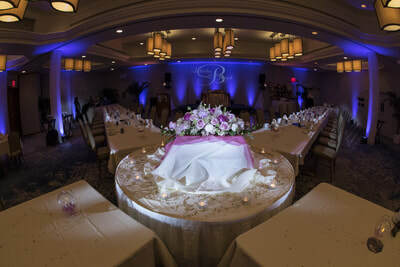 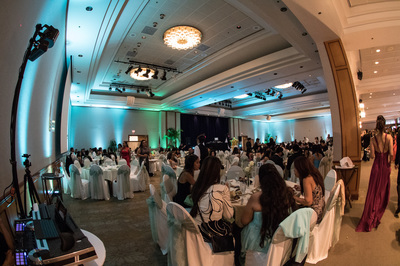 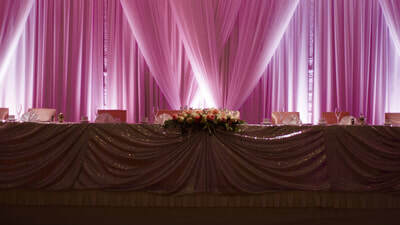 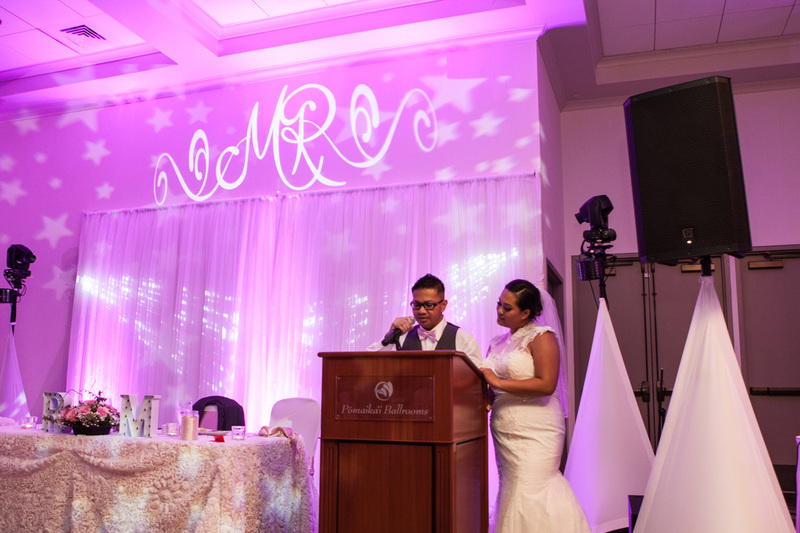 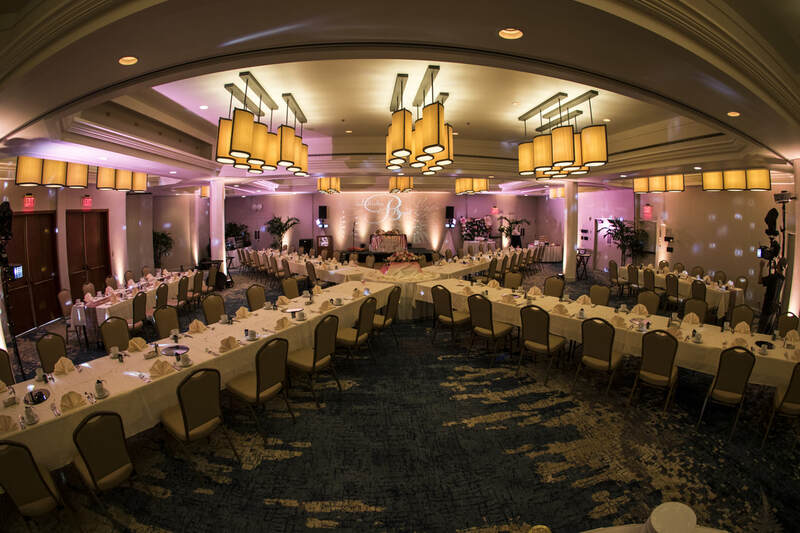 Uplighting gives you the color but also accentuates the details and texture of your drapes and the walls of the venue. Cool white and warm white mixed to create more depth. Cafe Julia-12 Uplights on each of the front and back pillars. 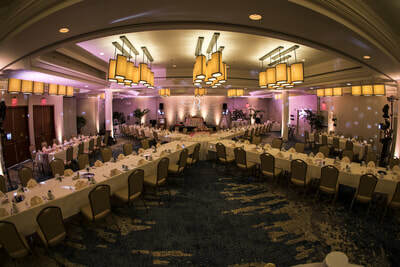 We can fully surround the room with uplighting and have each and every one of them controlled. We create cool and fun chases and effects. 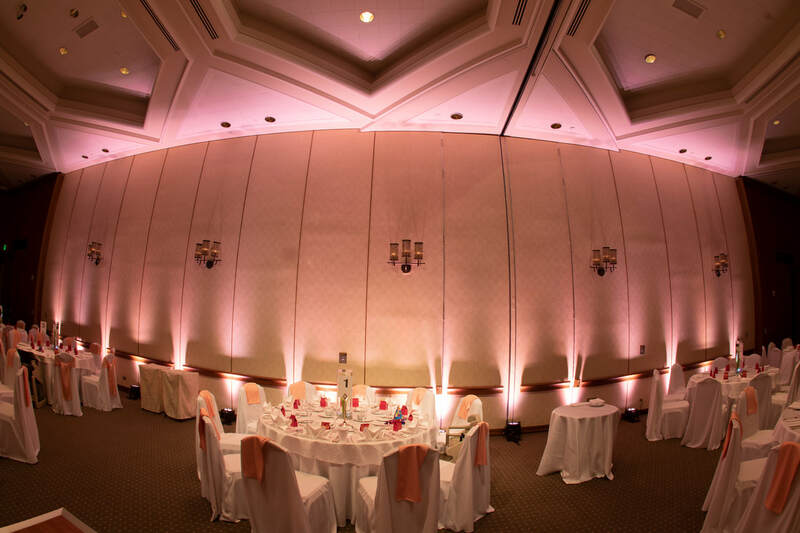 We can sit down with you and plan your lighting for your wedding. We can determine colors, effects, and synchronization with your reception events. 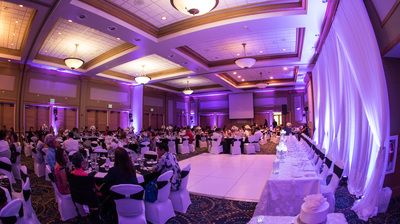 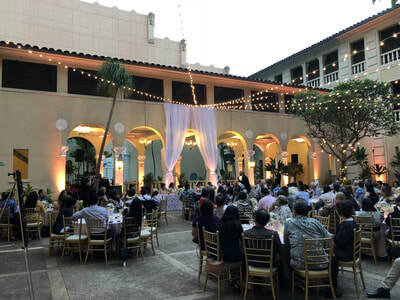 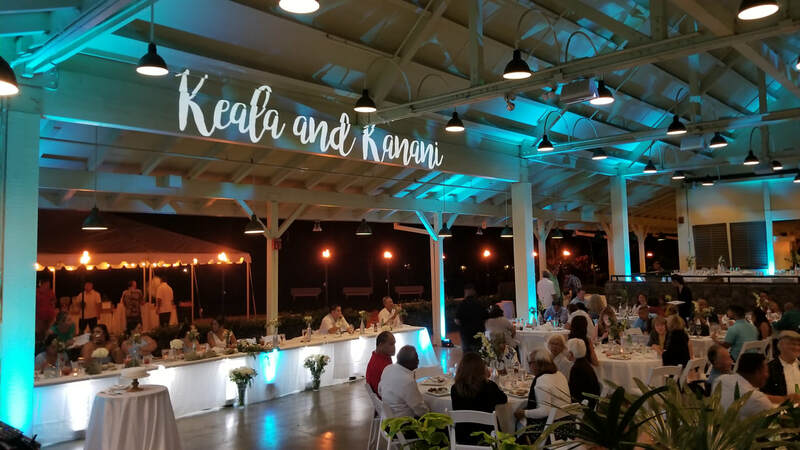 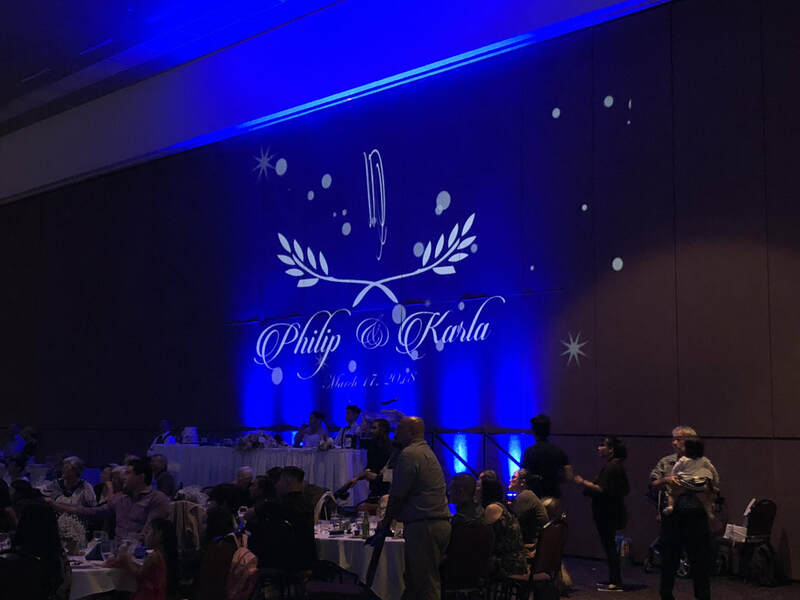 We can also determine the amount that you may need at your reception and also lighting options such as under the table lighting, cake lighting, pipe and drape backdrop lighting, etc. 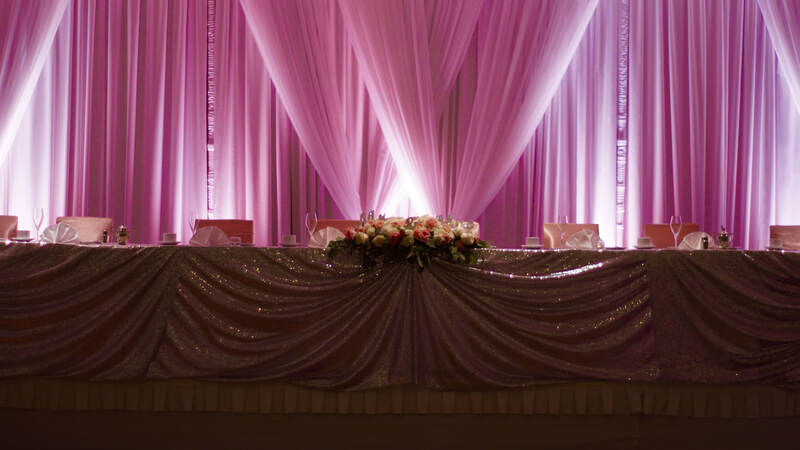 Contact us for a free consultation.